Comment: I want to put a temporary wall in front living area to separate between kids bedroom and play space. I also want a door to put dogs in play space overnight / when we are gone. Comment: This very large window has been leaking from above for some time. The awning seems to be funneling the water to the leak area and the water is dripping onto the sill. This water then overflows to the baseboards beneath and has warped them all away from the wall. Some repair is probably needed outside as well as in. Comment: Replacing carpet on the stairs inside the house. Just want to replace the carpet with hardwood for the steps. Comment: I would like to get an estimate for installing some headers, support posts and framing an Island, and install cabinets. Las Vegas Carpenters are rated 4.82 out of 5 based on 276 reviews of 21 pros. 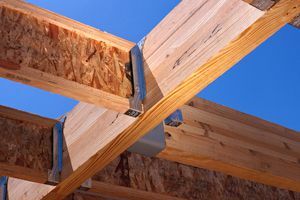 Not Looking for Carpenters Contractors in Las Vegas, NV?